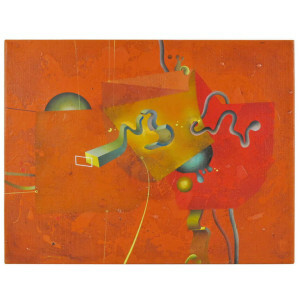 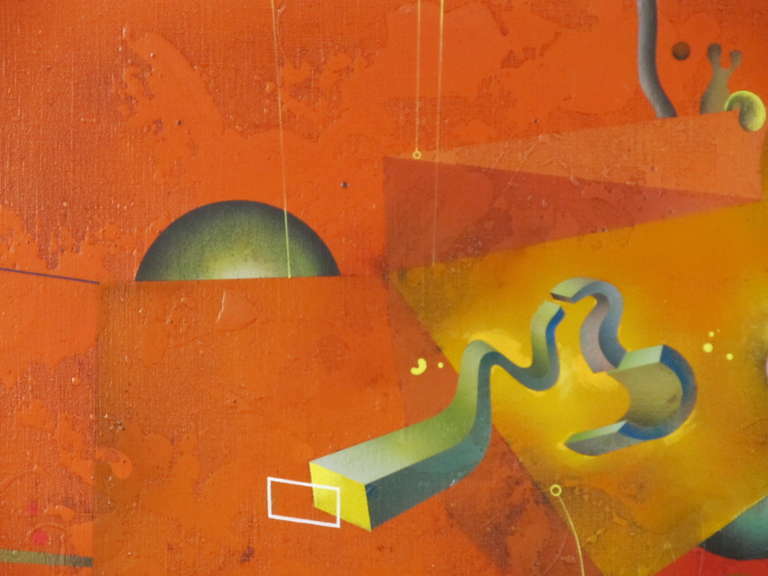 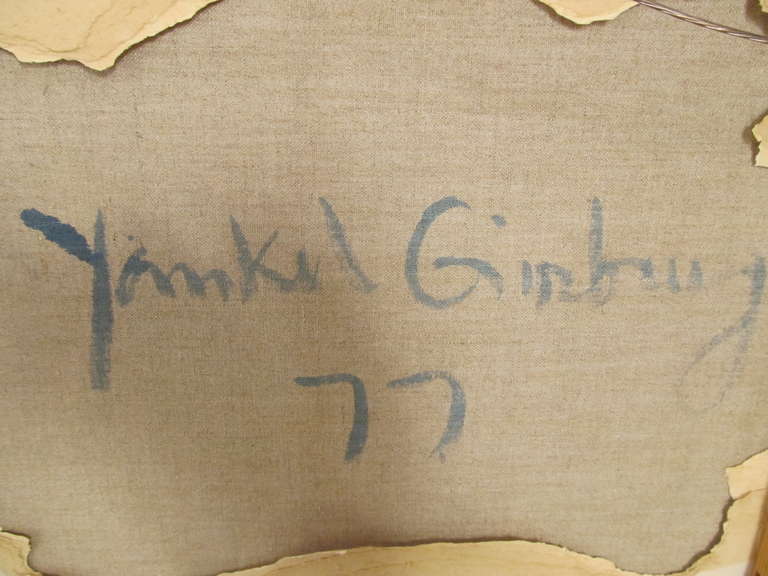 Offered here is an abstract oil on canvas by Yankel Ginzburg (1945 – ). 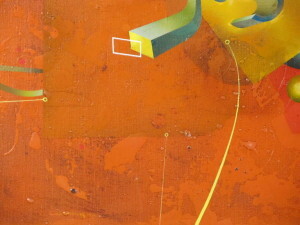 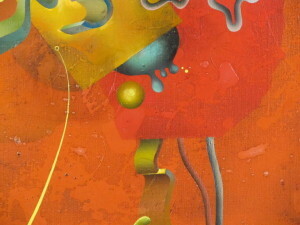 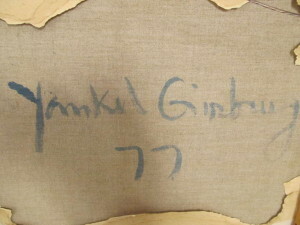 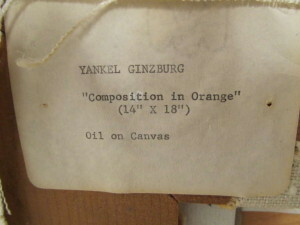 It’s a playful and extremely creative composition in which Ginzburg displays not only his precise technique, but also a vivid imagination. 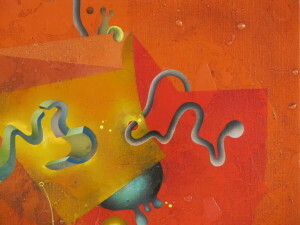 Surrealism and Dada obviously have had their influence. 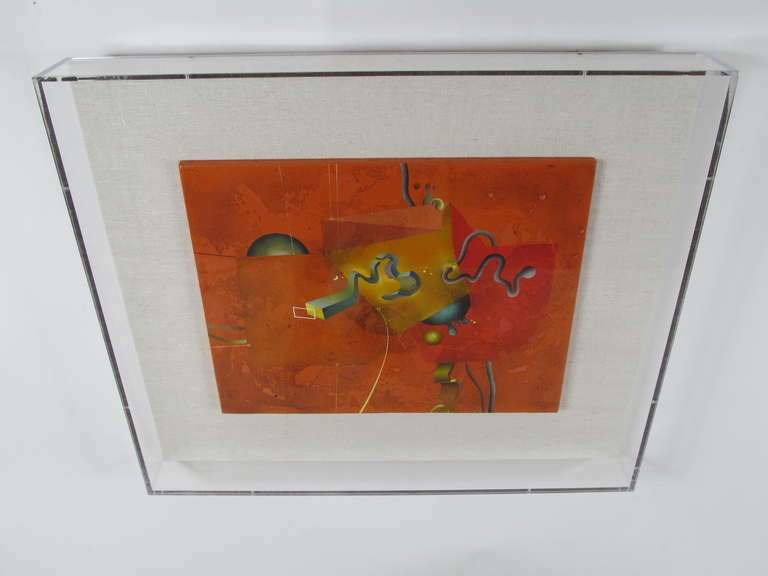 Ginzburg is also recognized as a sculptor, working largely in plexiglas, and this composition is an exploration of spacial and dimensional abstraction. 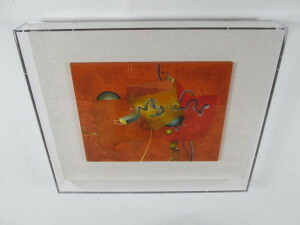 The painting is mounted on linen, and encased in a plexi box, making the presentation more 3 dimensional. 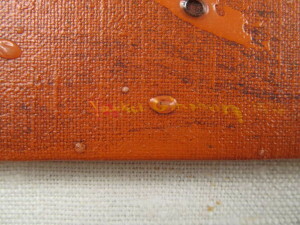 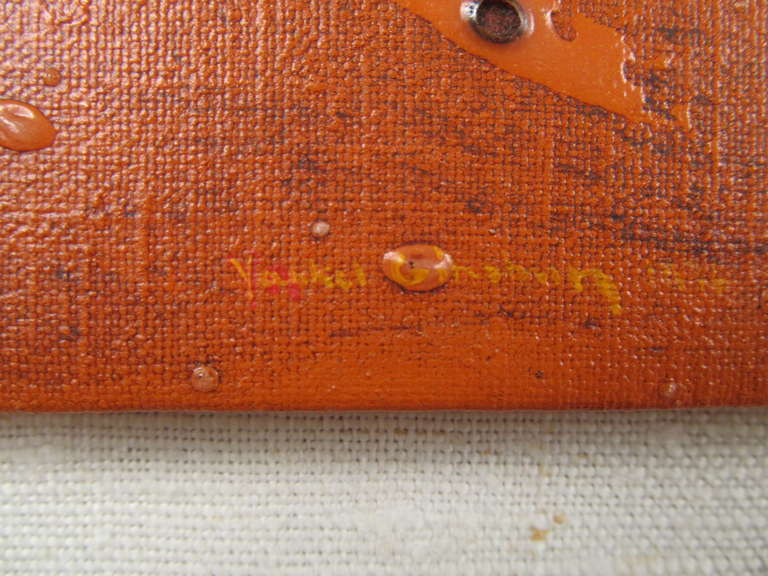 The painting is 14″ x 18″. 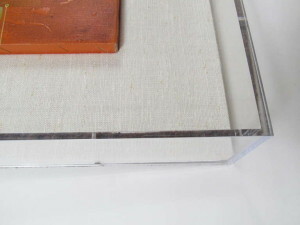 The plexi box measures 22.75″ x 26.75″ x 3.25″.